Today I thought I'd share some expert blogging tips that I didn’t cover in any of my previous posts. 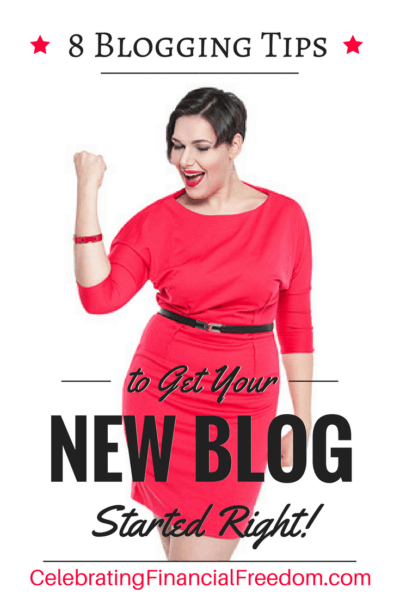 These tips for getting your blog started right will help you engage with your readers, build an email list, and have fun with your blog! One of the things people like about reading blogs is that it’s somewhat of an interactive experience. The more interaction you have with your readers, the more they are likely to be a regular visitor to your site. When readers know there is a real person behind the name, they’re able to form a connection with you that keeps them coming back for more. The more you find ways to engage with your readers and get to know them, the more fans you’ll have. And of course, the more fans you have, that translates into increased traffic to your blog (and more revenue too!). A great about page is essential for helping you connect with your audience. The more your readers know about you, the more they’re able to identify with you and form trust. Make sure your about page is personal and shows your true personality. It should tell your story in a way that people can connect with. A dry about page that only lists your name, where you live, where you went to college, etc., just isn’t enough. Tell people why you started your blog in the first place, how you plan to help them, and what your purpose in life is. You don’t have to reveal all your deepest, darkest secrets, but showing your personality and revealing your “why” always helps win people over. This is one of the most important blogging tips you need to know to grow traffic and get followers. Every experienced blogger will tell you one of the most important things you should do as a new blogger is to start an email list. An email list is important because it allows you to communicate with readers who want to hear from you on a regular basis. Sending periodic emails helps drive traffic to your blog. They also help you market goods and services directly to your audience. Even if you don’t plan to make money from your blog, collecting emails is important because you can communicate directly with your followers. Also, just because you aren’t monetizing your blog now doesn’t mean you won’t decide to in the future. If so, you’ll already have a built-in list of readers to market to. I currently use Mailchimp to build my email list. It’s free for the first 2,000 subscribers. Also, to help people sign up for emails I use the ThriveLeads WordPress plugin to make popups, banners, and such to encourage readers to sign up. Here's a huge list of my favorite blogging resources you need to start your blog right. The more ways you can find to encourage readers to share your blog posts, the better. For this blogging tip, I use a free plugin called Tweetherder that adds a “click to tweet” button anywhere in your blog post that you like. 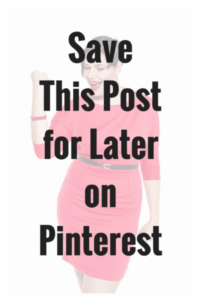 Also, on many of my posts I include a graphic (made with Canva) that encourages readers to save the article for later on Pinterest (see this post for an example). The easier you make it to sign up for your email list, the better. Don’t ask for a ton of information. Just a first name and email address will suffice in most cases. Any more than that, and your readers will be much less likely to sign up for your email list. The easier you make it, the more signups you’ll get! One of the most important blogging tips I recommend is to be yourself. Early in my blogging days I tried to write like some of the bloggers I looked up to. It was totally inauthentic and really wasn’t sustainable for me to act like somebody I was not. Eventually I transitioned into putting my own personality on display (which was hard because I’m an introvert) and things worked out much better for me. Don’t worry about what anybody else thinks, people want a unique voice, so just be you! One of the best ways to build a following is to allow readers to comment on your blog posts. Leaving comments helps engage your readers and allows them to get to know you. The more you can interact, the better. Unless you write about controversial topics, you’re not likely to get a ton of hateful comments, so don’t worry too much about haters. Disqus– a free plugin for placing a comment section on your blog. I believe it’s one of the best commenting plugins around. It’s one of the most popular too! Akismet– a free plugin that filters out spam comments automatically. This one’s essential for keeping spammers out of your comment section. Blogging Tip #8- Enjoy Yourself! When you’re starting out, don’t put a lot of pressure on yourself to make things perfect… enjoy yourself! The most successful bloggers have a good time with it and try to make it enjoyable for themselves and their readers too. So make sure to have fun, be yourself, and don’t stress about the details, they will work themselves out in time. Got any blogging tips of your own? Leave a comment and share your favorite blogging tips with everyone!